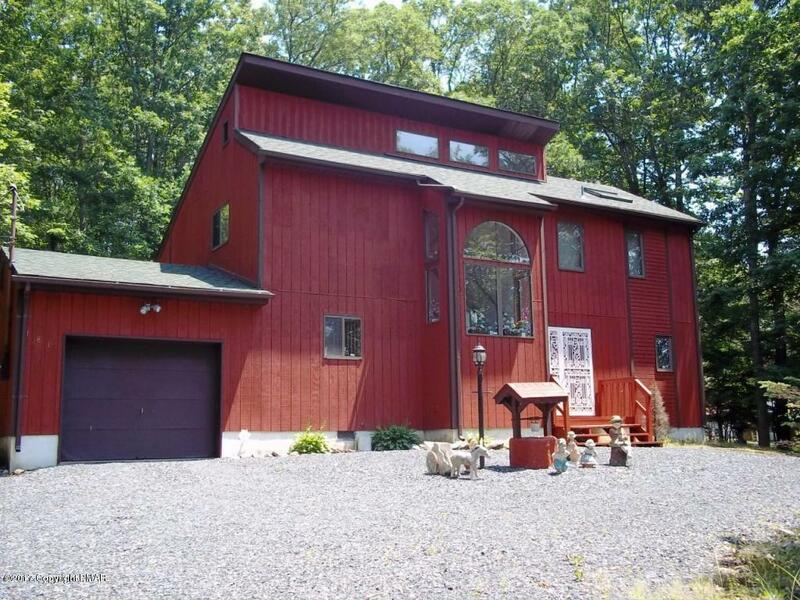 **PRICE REDUCTION**Big 3 Bedroom Contemporary with two full baths. You can have your Master bedroom on the first or second floor. Master Suite with big full bath Jacuzzi tub, separate shower and a Sauna to relax in, you deserve it! This well maintained home has sliding glass doors to balconies off every bedroom. Big windows and glass doors for plenty of sun light. Immense stone wall fireplace in living loom with cathedral ceiling, windows and skylights. Great home for entertaining with big open floor plan. Large deck for enjoying the private setting in your back yard. Come see this beauty now! !